1. Where can we go? It can't be too rural in case she has a reaction. It can't be somewhere that doesn't have adequate healthcare. It must be somewhere that a hospital is close by and we can easily reach by car just in case. 2. How do we get there? If we have to take a plane, then I have to figure out how to pack her food that will keep through airports (security, yikes! ), plane rides, etc. Then, I have to think about EXTRA food just in case, and even more EXTRA food, just in case again. Not to mention that she requires formula and bottles and her formula has to be refrigerated once opened. If we take a car, I have the same worries. She can't eat a restaurants, so add on the additional issue of worrying about restaurants having a "no outside food" rule and refusing to serve the rest of our family (yes, this happens). With both options, I have limited space (or carry-ons allowed), so that's another dilemma. Best bet? Rent an RV...time consuming and expensive....not to mention, our middle child tends to get carsick. 3. Where do we stay? It has to be somewhere with a decent kitchen. Since we have to prepare her meals ourselves, we need at a minimum a mini-fridge and microwave. That's basically like the "roughing it" version for us! Ideally, we would have a full size fridge and stove so that we could buy stuff when we get there and not have to ship and/or carry tons of frozen/perishable food with us. Basic hotel rooms are out. Again, added expense. 4.What do I need? Well, besides obvious stuff, I need plenty of her special formula (and then some) as well as the note from her doctor explaining her condition and information on the closest hospital. 5. Fears! What if she has an acute reaction mid-air or in the middle of nowhere and needs medical attention? What if we can't find a restaurant that will allow us to bring in her food? How will my other kids feel about her and the impact she has on our family vacations, despite our best efforts to blend her in with the rest of us? What if she has a reaction and the hospital we take her to doesn't know anything about FPIES and questions it and refuses to give her what she needs immediately? After a good bit of research, we have come across a few options. 2. Rent an RV: In this scenario, the good thing is that RVs have kitchens and we could easily prepare and travel with everything she needs. It saves us the hassle of having to find accommodations with kitchens. However, it's still expensive to rent one, and so is the gas. And there is that whole "What if it breaks down in the middle of nowhere?" fear. 3. Vacationing Close to Home: This would involve renting a cabin (in a not so rural area), or hotel suite somewhat close to home (under 2 hours). Honestly, this would be fun but for me, it seems a bit pointless to pay to sleep somewhere else close to home. Definitely more budget friendly and feasible for us. 4. Stay-cations: Right now, this is the ideal situation for us. It requires only a little bit of daily prep of meals to bring with us and by night time we are all nestled back into our home. It's also the most cost-effective. So, there ya have it. 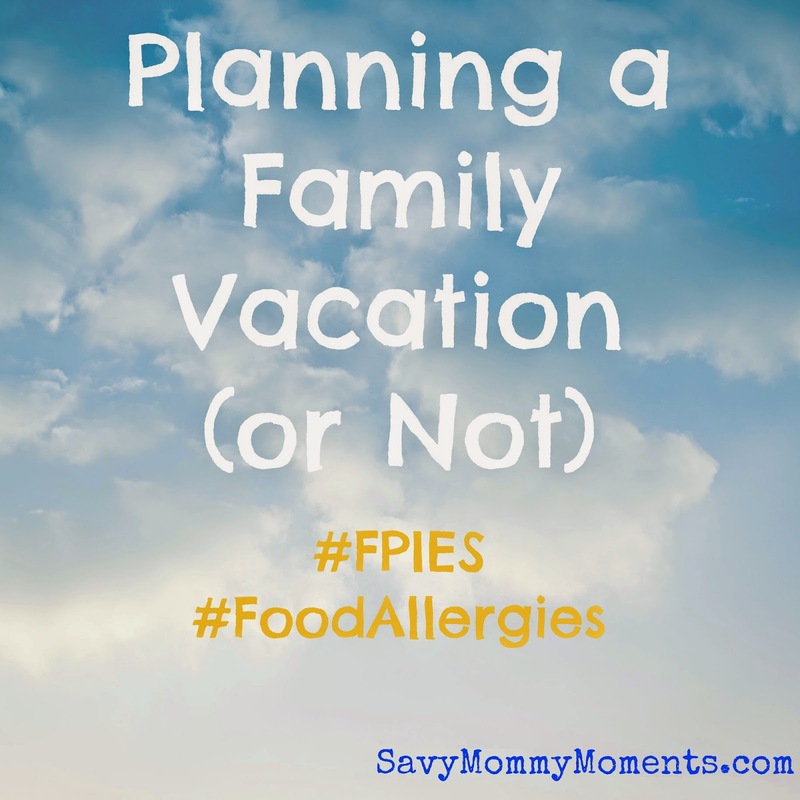 When it comes to have a child with a rare food intolerance syndrome (FPIES), planning a family vacation is extremely complex and stressful. Hopefully she will start to outgrow it by the time she is 3-4 and we can start planning vacations more easily. Until then, it's likely Disney or home. 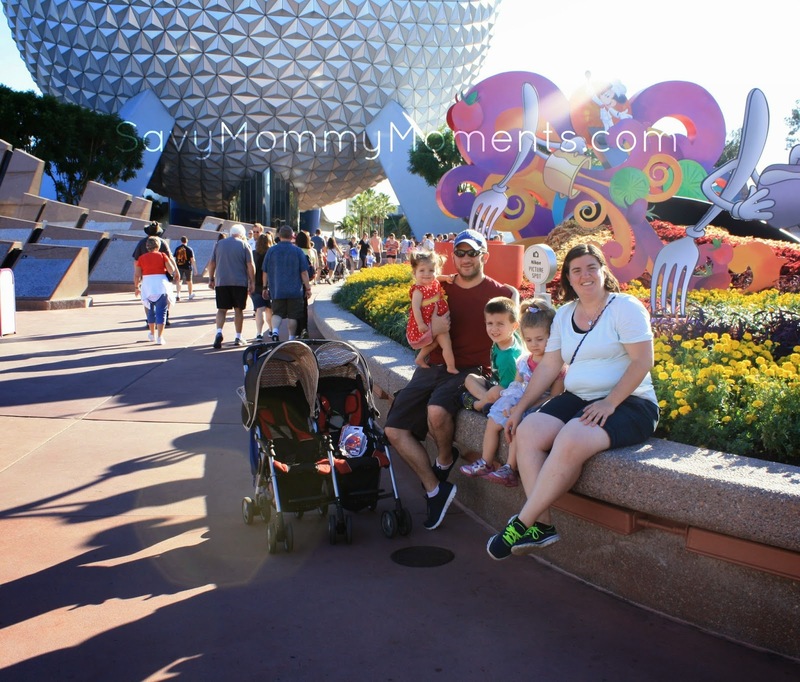 Read more about our FPIES adventures here.